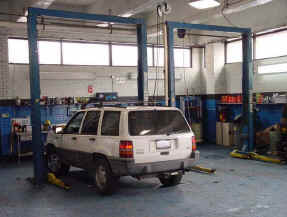 Automotive Express of Brooklyn, NY, is your one-stop auto repair and service shop, placing an emphasis on taking care of your car and getting you back on the road again. In addition to having the most state-of-the-art equipment and having their work backed by over 20 years of great service, they operate as a direct auto repair facility for nine insurance companies. That means you won't have to wait for an adjuster to inspect your vehicle when you use Automotive Express, making the process of filing for an automobile insurance claim faster and easier for you. But what if you're new to the whole insurance thing? There's a lot to learn about the various types of automobile insurance—examples of which include liability, comprehensive, medical, and more—so it's worth fully diving into the research before choosing a provider. How Collision Insurance Works: Running into another vehicle or object is a frightening moment in a motorist's life, but having collision automobile insurance will make the process that follows much less stressful. Once you pay a certain deductible amount, which varies from policy to policy, your insurance will cover the rest of the damages or repairs. Why Coverage Is Important: General automobile insurance is required in most states, and it has the potential to greatly mitigate any financial risk that arises from an accident. How To Get Collision Insurance: There are many providers out there, both in the form of major insurance companies and independent agents. It's important to do research and weigh your options before making such an important decision. You have a lot of choices when it comes to automobile insurance, but at least you'll know where to take your vehicle when it's in need of repair. The experts at Automotive Express in NYC will get you back behind the wheel in no time—in better shape than ever—and you can even check in on your vehicle online during the process. Head to their website for more information about their auto repair services, and give them a call at (718) 624-4033 to schedule an appointment.